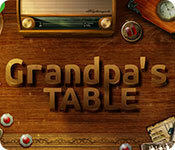 Grandpa's Table is rated 3.7 out of 5 by 24. Rated 5 out of 5 by drumahh from When the 1 Star critics say "it's too hard" you know it's good! II enjoyed playing this game over the last week, a few puzzles at a time. Yes, some are easier than others, and some are a bit of a challenge. But that’s what you want, right? I encourage the Big Fish product managers to think outside the box: find some games that go against the norm. This was one of them. Yes, there should be a restart button, and yes there should be an exit button instead of hitting the “Esc” button, but once you figure that out, you’re ok. I still need to find the “hidden game” but made it through completion without using the hints. Fun while watching baseball! Rated 5 out of 5 by Ruckus777 from Unique! This is way different than any game I've seen before. The mechanics take a bit of getting used to, since it's a hands-on learning experience rather than in-depth instruction. Gameplay got harder as time went on, and sometimes it was too hard! But it was a really well-done mechanics puzzler. The graphics were beautiful, I liked that you had to turn the dial down on a physical radio to lower the music volume, and that you could skip songs if you wished. But why would you? The music was beautiful and relaxing. The main menu screen was also graphically gorgeous. All the buttons, like settings and game language, were unlabelled and instead just parts of Grandpa's table, which was a great touch. Overall I would recommend this game if you like brain teasers! Rated 5 out of 5 by PUZZLED_CA from What a great mental challenge! This is the best puzzle game I've played in a LONG time. The complexity increases gradually, requiring you to think further and further ahead. And do you try to trigger the unlocks or avoid them? I got many levels fairly quickly, but struggled on others. 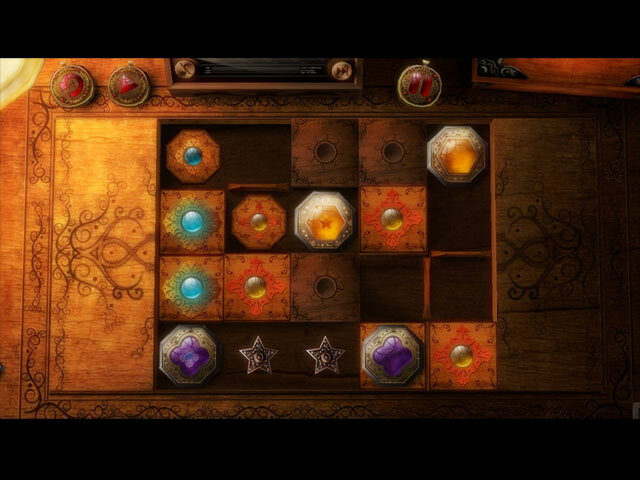 The puzzles are elegant, the music and sound effects are beautiful. The interface had a few problems for me.. - To exit the game, use the "Esc" key - To restart a level you have to either back out repeatedly or leave and restart. I would have liked a "restart level" option. 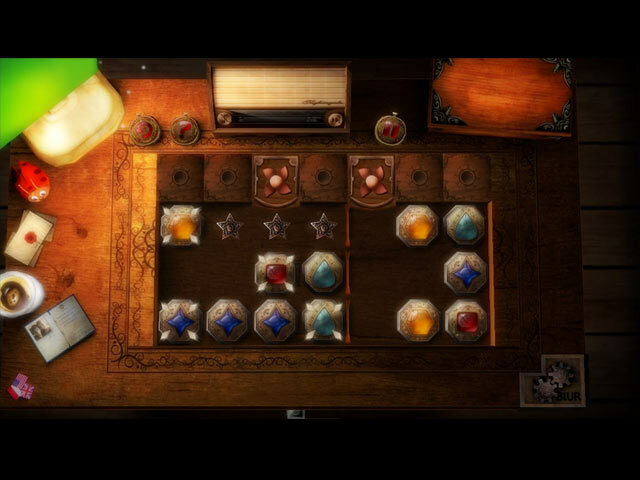 - After completing 4-5 puzzles, you get access to a "Grandpa's Secret" puzzle, but to play it you have to exit the game play and to back to the menu to select it. The (entirely optional) story line I found confusing. During gameplay you occasionally get a souvenir. 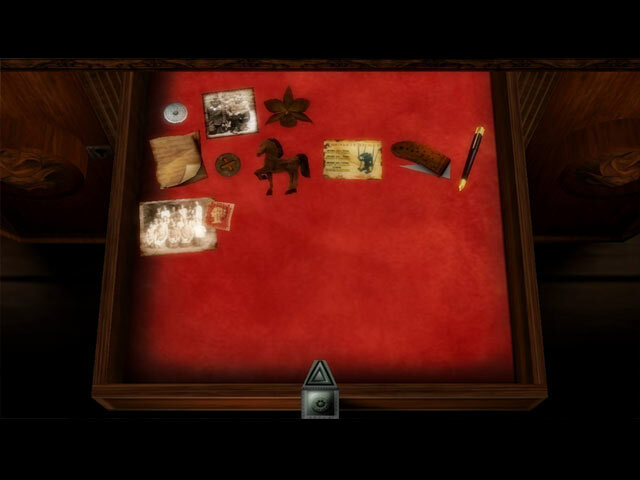 You go to the home table and open the drawer (at the bottom of the screen) to get the story elements. For much of the game, you are the grandchild remembering your Grandpa and his wife, Amelia (not your grandma?) Then suddenly you are the grandfather with dementia trying to understand what has happened with your life. The descriptions are almost poetic.. Rated 5 out of 5 by grandmacathy from Beautifully done! For those of us who love the logic puzzles, this game is perfect! It is beautifully designed. The logic puzzles are not so easy that it's not worth playing them, but also not too hard. I love the soothing music as I try one more time to not only group the balls by color but also make sure that I have covered the metal stars so I can get 3 achievement stars and thereby a coin. With the coins, I can choose to use them to solve a puzzle that is plaguing me to find a solution (and I now have a headache because I can't).. I like the home page, with the radio to regulate the sound and the desk drawer. Rated 5 out of 5 by PawPrinted from Finally, a true puzzle game! I was so excited to see a real puzzle game! No tedious hidden objects, or running around picking stuff up, or being chased by bad guys. Nothing but untimed problem solving. You end a round by grouping pieces by color. Not too hard, if you don't care where they end up. If you match them on top of star spaces, you earn coins that can be used to buy solutions for hard levels. Overachievers like me will try to end every level with 3 stars. There's no award for it, and you probably won't need all the coins, but it makes it more challenging. The people who said it was boring must not have gotten very far. It kept introducing new elements to keep things interesting. It's true that there aren't instructions. I liked that better than games that keep interrupting with hints. Figuring out how each new element works is part of the puzzle. So is trying to quit. I searched for a while before trying the Esc button. The graphics are great. I was near the end of the game when I discovered that I could zoom in/out with the mouse wheel. The music is OK, but clashes with the special effects sounds. Their volumes can't be controlled independently, so I ended up turning it off. Storyline? There is one, and you reveal it as you go along. I ignored it. When looking for the exit button, I discovered that I had uncovered things as I played. I didn't bother exploring them. I'm just here for the puzzles. I've played through the game twice. There are so many puzzles that I didn't remember the solutions. In fact, I bought solutions to a couple of them again. This is where I found my biggest complaint: You can't start a new game. The puzzles are already solved, and the coins have all been earned. Each puzzle lets you solve it from the beginning, but it's hard to keep track of overall progress. I tried uninstalling and reinstalling, but the game data was still there. I'll have to figure out how to delete that before I play again. Rated 5 out of 5 by zandu2 from Mmm, i'm lovin Grandpa today Amazing workmanship. The levels are do-able and yet challenging. Visual exquisite, music awesome but would love to have had a more to listen to, not just the loop. I would definitely recommend this game.. Sure would love to see some platform games happening. Stuff like, Boulder Dash: Pirates Quest, more Super Granny, Rabbit's Magic Adventures, you know the good stuff, Please?? Rated 5 out of 5 by JRMSG from I love "rooms"plus This reminds me of the 2 "rooms" puzzles and I love these (don't know exactly what they are called) mind twisting types! I totally agree with the other player, the instructions do leave a lot to the imagination, could be better. But I figured it out after a few tries. The only way to exit the game that I have found so far is to hit Esc, a screen pops up and ask if you want to exit the game? Other than those two small things, instructions and a way to exit, this is just the type of game I will go to over and over, love it, keep them coming! Rated 5 out of 5 by Lyndy20 from Love it This reminds me a bit of the old logic puzzle Sokoban type games where you moved objects around a maze to a specified location, usually to fill holes or cover lights. Here, you are strategically lining up same coloured tiles to cover stars. Tiles will slide until meeting a wall or another tile. When there is more than one colour, and a match is made, the tiles don't disappear as in a M3, but become covered, immovable objects and may block your path to the stars (heh). The music is lovely, and the main room is interactive. There was a strange light in the distance where I found an object that I don't know what to do with yet. I do like games with mystery and discovery! There's no timer, so relax, put your thinking caps on and enjoy.